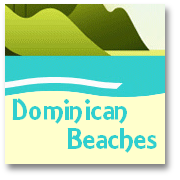 Why would you want to get from Santo Domingo to Samana Peninsula, in the Dominican Republic? 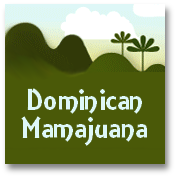 Well - unsurprisingly for anyone slightly in the know - it is a popular question, because the Samana Peninsula holds some of the particular, unspoilt, delights of la Republica Dominicana! There is, of course, the attractive town of Samana that provides the launching point for the vessels carrying avid whale watchers -- during the season. Samana also hosts some attractive beaches too. Then there are the lovely resorts of Las Terrenas, on the north-west side of the Peninsula, and Las Galeras, at the very top of the Samana Peninsula - both with their own unique charm and natural, homely, Dominican/Caribbean ambience. In recent times the Samana Peninsula has become easier to access than it used to be by road. For a small toll each way on a new auto route the peninsula can now be reached in about two hours by hire car direct from Las Americas Airport, near Santo Domingo, the capital city of the Dominican Republic. For those who are disinclined to brave the Dominican highways and byways immediately on arrival - or who don't plan on the expense of car hire for their full stay - there is always the option of an air-conditioned taxi (not exactly cheap! ), or the excellent bus services (although your timing will need to be right, but this is an economical and enjoyable option). 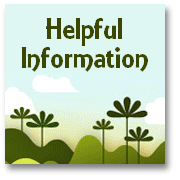 Q.: Getting from Santo Domingo to Samana: car, bus, taxi or air - what's the most cost effective option? A.: Well - if money is no object - and you are arriving tired and don't wnat to drive - or be hassled to travel into Santo Domingo, and get a bus (which may all be dictated by your arrival time)...Then of course there are some Air options, or you could get a taxi - though this will probably be in the ballpark of $300+ each way. To be more economical, if you get a taxi from the airport on arrival to Santo Domingo city, the first Metro Bus leaves at 7 am and will take you through to Sanchez, from where a minibus/gua gua, or local taxi would be need to get to Las Terrenas, on the north side of the peninsula. The Metro Bus continues onto Samana city, dropping you off on the Malecon. 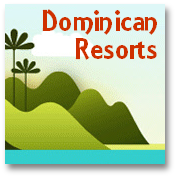 Caribe Tours also drives up from Santo Domingo. These are both inexpensive options for getting to Samana peninsula and Samana, the Dominican bus services are comfortable coach and these are scenic rides (if - you arrive late in the day - you'll need to get accommodation overnight in SD - of course). The bus trip takes about 4 hours. 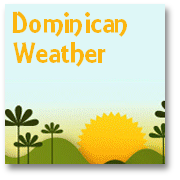 We have rcently included a mini-guide to the Dominican bus services and timetables on our own web pages after receiving many requests - if it is any help to you. There is a new toll road, the Las Americas Expressway, in Santo Domingo (only 10 minutes from Las Americas International Airport) and this allows self-drivers in a Dominican hire car to get to the peninsula in around 2 hours. It would take maybe another half an hour to get to Samana on the east side, or Las Terrenas on the north-west side, and a little longer to get to Las Galeras. Tolls cost around US$20 each way. Hope this may be helpful if you do find you need to get from Santo Domingo to Samana, when you come to visit the Dominican Republic!